Faro is the southernmost city in Portugal and is the capital of the Algarve. Located in Central Algarve, close to the East, Faro is only place in the region with an airport, which deals with millions of tourist arrivals and departures each year. It is said that once holidaymakers stay in or make a visit to Faro, they are able to get a taste of the ‘real’ Portugal. Most places in the Algarve are purpose-built or equipped for the high numbers of English and Irish visitors. 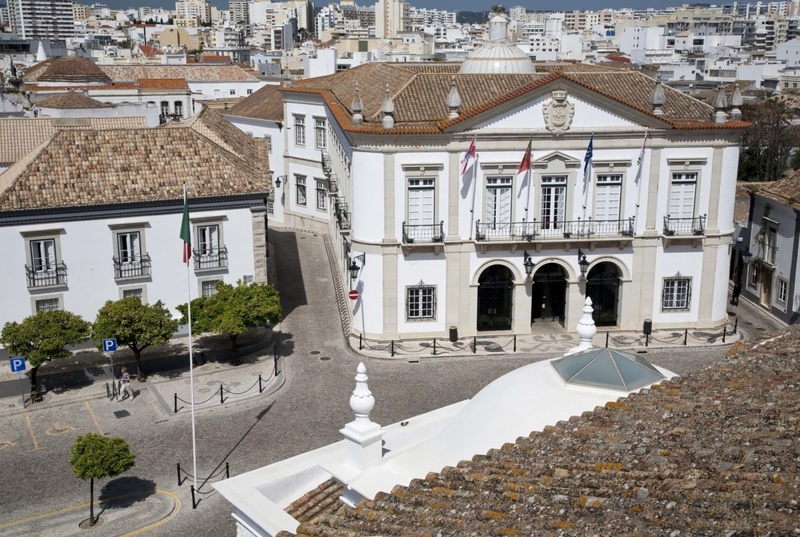 However, being the capital of the region and having over 40,000 inhabitants of which the majority are Portuguese, including 8,000 students attending its University, Faro is a little different. If you're the type of tourist who loves exploring new and interesting cultures and traditions, Faro is the ideal place for you. Just like Lagos, Faro is full to the brim with stunning historical buildings. 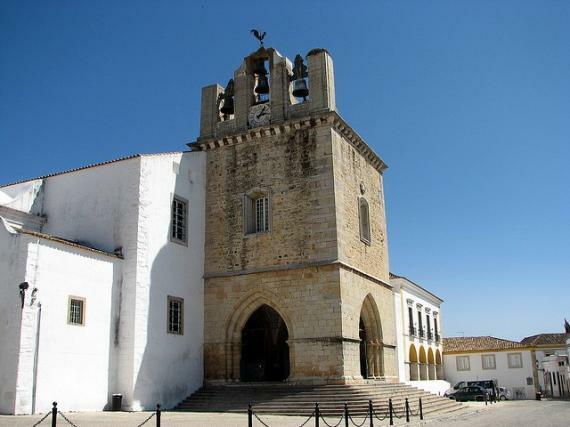 To visit Faro Cathedral, you must go to the oldest part of the city on the eastern side of Faro, ‘Cidade Velha’ which means ‘Old Town’. Follow ‘Rua do Municipo’, a narrow, cobbled street, until you reach the cathedral in the center of the tree-lined square. Inside the building you will come across beautifully decorative 17th & 18th Century tiling, and many artistic delights bearing clear Baroque and Renaissance influences. Although the cathedral does not look as eye-catching and extravagant from the outside, visitors get a lovely surprise when they step through the front door! Another great aspect of Faro is that everything is fairly easy to find. The center is compact and signs & directions are very clear, which definitely sets Faro apart from other typical cities. 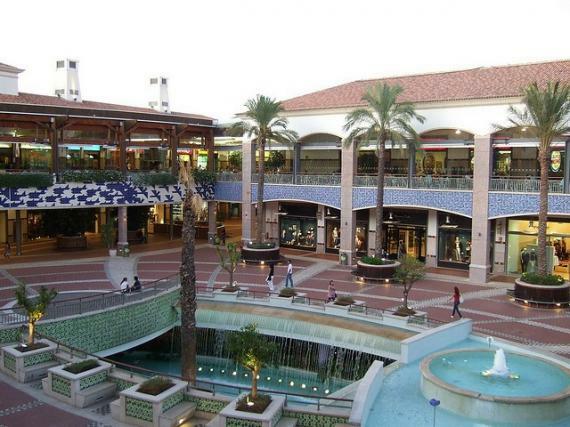 The shopping centre in the middle of Faro, Forum Algarve, is a huge complex with the best shops. From ladies fashion, hypermarkets, gift shops, home decoration and jewellery boutiques, shoppers never leave Forum Algarve unhappy with their purchase. Eat lunch at one of the many restaurants in the food court, catch the latest blockbuster at the cinema, or simply have a wander round the shops. Forum Algarve is extremely easy to find; it’s located on the left-hand side of the highway as you arrive into Faro. Happy shopping! Faro has some of the best Portuguese restaurants in the country. Be prepared for much less British cuisine available than in other parts of the Algarve; the restaurants in Faro are primarily Portuguese, as well as a few Chinese & Japanese. Try the fresh fish at the ‘Sabores da Se’ restaurant and sample the tasty Tuna Carpaccio. If you’d prefer a bit of ‘carne’, try the appetizing Smoked Chicken or the Pork Frittata. One fantastic aspect of the restaurants in Faro is their great quality food for such low prices. Another lovely place is ‘Mister Frango’, frango meaning ‘chicken’. It is rumoured that this restaurant serves the best Chicken Piri Piri in the Algarve. If you’d like to try the popular Portuguese specialty, you should without a doubt do so at Mister Frango. Being a University city, Faro boasts lively student nightlife like no other place in the Algarve. Many of the 8,000 University students gather on a Thursday evening for ‘student night’, which means the drinks are cheaper, the streets are busier and the clubs & bars close later! One top hotspot and ‘the place to be’ in Faro is Columbus Cocktail & Wine Bar - a sleek, sophisticated hideaway in a 600-year old building with extravagant arches decorating the outside. Columbus Bar is in the Marina area, along with many other fancy bars and restaurants which are well worth a try. The Old Town (Cidade Velha) is a common area for party-goers to enjoy a night out on the town, too. This area has a variety of bars and clubs that cater for people of all ages and all interests. For the best music and the best cocktails (especially the Caipirinhas) and an overall Latin vibe, head to Havana Club. For something a little quirky and different, enjoy the live entertainment at Chessenta Bar, a well-known karaoke bar that provides all-night fun for the whole family. End your night at Dux Club, a favourite for young tourists, and also the largest and most popular nightclub in the city. With friendly locals, lively, student nightlife and a traditional Portuguese atmosphere, not forgetting that your accommodation will be just moments away from the airport, why not choose Faro for your Algarvian getaway this summer? Find information about selected Hotels, apartments and rooms in Faro to choose the perfect place for your accommodation. ©2019 - algarveregion.com All Rights Reserved.